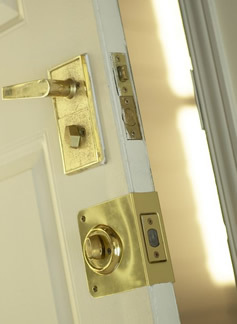 Doors are an essential factor in ensuring the security of our homes and privacy within them. With day to day use over the years, wear and tear is inevitable. With diligent maintenance of your doors you can extend their life. 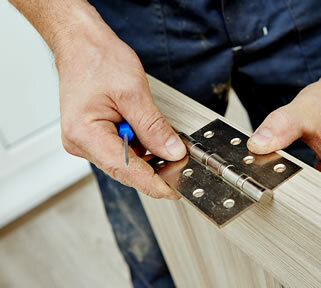 The most common door repair issues that occur in and around Adelaide are listed below. 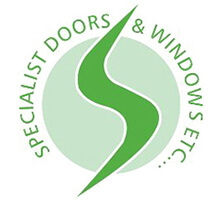 If your particular door issue isn’t listed, just get in touch to discuss it. The most common door repair issues that occur are listed below. If your particular type or brand of door isn’t listed, just get in touch to discuss it. You can be confident that a solution is at hand. Whether your sliding door is aluminium or wooden, it can be fixed with ease by Adelaide’s specialist door repairers. Wooden doors are traditional, beautiful and incredibly popular. You’ll see them all through the streets of Adelaide. However, because they’re made from nature, they’re also susceptible to nature’s elements. Wooden doors are porous and so they respond to the changes in temperature and humidity. They can warp, bow, rot, swell (expand) and shrink with the changing seasons or surrounding elements. The ‘settling’ of a house into its foundations can also create issues with wooden doors not fitting within their frames, becoming too tight or too loose. Issues such as these can often be fixed with a re-fit or re-hang of the door within the frame, or by addressing the surrounding elements such as sealant or paint. Your door handle and lock might be getting jammed with age and the accumulation of dirt within the internal components over time. 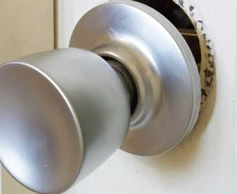 They could also have been damaged due to a break in.Door handles and locks can be easily repaired or replaced by door repair specialists who can determine the appropriate solution for you. 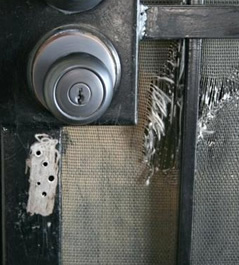 A squeaky wooden door can be the result of rusty hinges, wood rubbing against wood or an ill-fitted door. 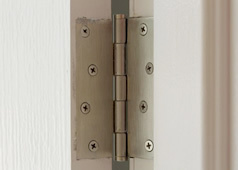 Your solution could involve oiling or replacing the hinges through to planing, sanding and re-hanging the door. Whatever the issue, it can be fixed. Bi-fold doors not latching or locking due to wear, tear and exposure to external factors. 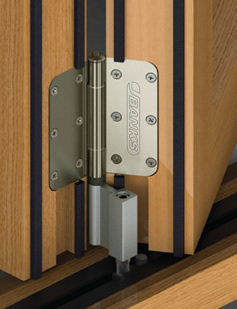 Bi-fold doors no longer weatherproof. 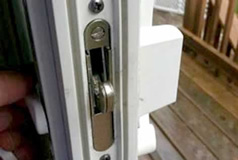 Your repair could involve the repair or replacement of parts such as locks, tracks, hinges and weather-proof seals. It could also involve a re-fit to return its smooth folding action. Your Security Door is as much a visual deterrent to would-be-thieves as much as it is an actual barrier against attempted break-ins. Not attending to issues with your security door can not only negatively impact your personal safety but it could also contravene the terms within your home and contents insurance policy. 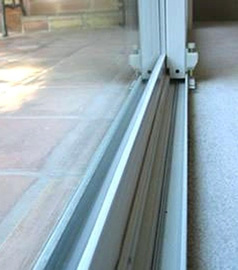 Fly screens can stretch and pull away from their door frames over time. They can also be broken via accidental puncture or collision. 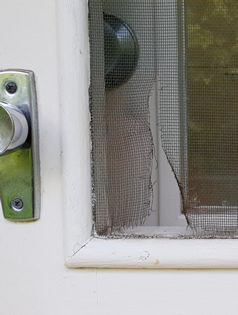 These issues with fly screens can be very easily fixed via tightening the mesh or re-meshing (replacing the fly screen mesh within the aluminium door or wooden door frame). Getting up in the morning can be difficult enough without having to deal with shower screen door issues. Shower screen doors are constantly exposed to water and are often used a few times a day, depending on the number of people in your home. 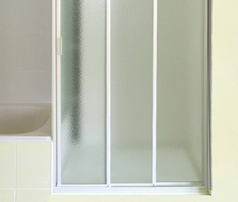 As Adelaide’s specialist shower screen door repairer, we have all the parts required to repair your shower screen doors, such as rollers, tracks, wheels, corner brackets and other key components. Pets go in, pets go out. They’re not overly concerned with the pace and intensity at which they charge through the special door allocated to them. 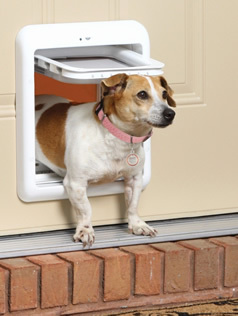 Over the years your pet door could deteriorate with excessive use and ongoing exposure to all the grub’n’grime of being constantly exposed to external elements and pet activities. 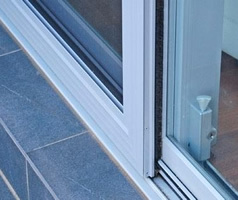 Your pet door can also provide a weak point in the security of your home, so ensuring that they can be closed off securely is of paramount importance. Not sure what brand your door is? No problem at all, just let us know what the problem is with your door and we’ll get it fixed for you.